Take command of your screen and make life easier for IT with the easily managed, touch-optional OptiPlex 9020 All-in-One desktop. Easily control the entire desktop fleet and keep your business running smoothly with the most manageable all-in-one desktop featuring Intel® vPro™ and Dell unique extensions. Remotely manage and update your desktops with next-generation Intel® vPro™ technology. Perform one-to-many, out-of-band BIOS management with Dell’s unique Intel® vPro™ extensions for BIOS management and hard drive wipe. Reduce costs to deploy, monitor and update systems with Dell’s automated tools and utilities for client systems management. Centralized control and security through delivery of on-demand virtual desktops from the cloud to stateless and diskless Dell OptiPlex Cloud Desktops, powered by Dell Wyse WSM. Protect your data no matter where it resides — from desktop to mobile to the cloud — with comprehensive security and encryption solutions. Centrally manage data-encryption policies across devices without disrupting end users or existing IT processes with Dell Data Protection | Encryption (DDP | E). Control access to systems and information with Dell Data Protection | Security Tools for single sign-on and authentication management. Tighten security with integrated hardware such as self-encrypted drives and user-authentication options. Delete data remotely with Dell’s custom Intel® vPro™ extension for remote hard drive wipe. Physically secure your system with a lock slot, lockable port cover and lockable tabletop stand mount. Tackle your most demanding tasks with our most powerful OptiPlex all-in-one desktop. Boost productivity with up to 4th Gen Intel® Core™ i5 and Intel® Core™ i7 processors. Available with Windows 7 Professional and Windows 8 Pro. Select the optional 23" (58.4 cm) edge-to-edge multi-touch screen. Store plenty of data and access it quickly with hard drive, solid-state drive (SSD) or high-performance solid-state hybrid drive (SSHD) options. Accelerate your video performance with optional discrete graphics. Communicate, collaborate and share across your entire organization with a full set of features to help you connect and interact. Connect using onboard Gigabit Ethernet (GbE), optional Wireless LAN or optional Bluetooth®. Easily set up VoIP communications with integrated front microphone and headphone mini-jacks. Support fast data transfers with native high-speed USB 3.0 support. Communicate face-to-face with optional Full HD camera, Microsoft® Lync® and Lync-certified headsets. Make on-screen sharing easy with the panel’s wide viewing angle. Add a second monitor for dual-screen functionality. The durable OptiPlex 9020 All-In-One is designed to stand the test of time and has a long product lifecycle, helping you maintain stability within your IT environment. Continue to work through heavy use with an OptiPlex system that is subjected to highly accelerated life testing. Manage transitions with confidence and help improve IT planning with a long product lifecycle. Work confidently knowing you have access to comprehensive service and support. With Dell ProSupport* and Dell services, IT can focus on business priorities. Get 24x7 help from an expert engineer with optional Dell ProSupport, online or by phone, for assistance with unexpected hardware and software issues. Simplify your deployment and create a standardized environment with Dell Configuration and Deployment Services and Dell Imaging Services. 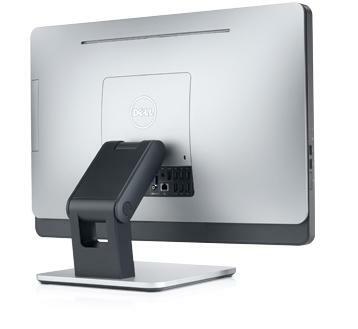 Seamlessly integrate your space-saving all-in-one into any office environment and deploy on virtually any desk. Conserve valuable desk space with a clean and simple all-in-one design. 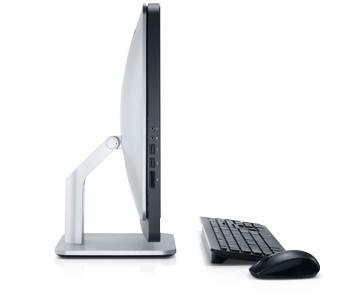 Work comfortably in virtually any position using the optional articulated stand. Further minimize desktop clutter with an optional wireless keyboard and mouse. Deploy with flexibility and select from multiple configuration options. The All-in-One model is one of four OptiPlex chassis designs. Maximize the efficiency, security and management of your OptiPlex systems with robust, integrated solutions. Dell Data Protection helps you secure data and control user access with comprehensive, flexible, easily managed data protection and access-control solutions. Dell Systems Management with Dell KACE offers efficient, centralized and automated management to help you save time and money. Dell Cloud Desktop and Dell Cloud Client Computing helps you improve service delivery to your desktops and enhance productivity with streamlined management and seamless access to data and resources. Help lower your power consumption and reduce your environmental footprint with a highly efficient OptiPlex all-in-one desktop. ENERGY STAR 5.2 compliance and EPEAT registration provide assurance that your OptiPlex is energy smart. An environmentally conscious design, including a chassis built from 10 percent postconsumer recycled plastics, can help lower your environmental footprint. 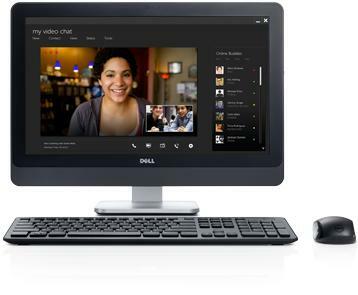 Complete your OptiPlex 9020 all-in-one with a wireless keyboard and mouse, external hard drive and color laser printer. Look for these great products and more at checkout. Store your photos, movies and files on a lightweight, portable hard drive and transfer data quickly with USB 3.0. Boost productivity with a multifunction color printer featuring excellent print quality, time-saving features and low cost per page.